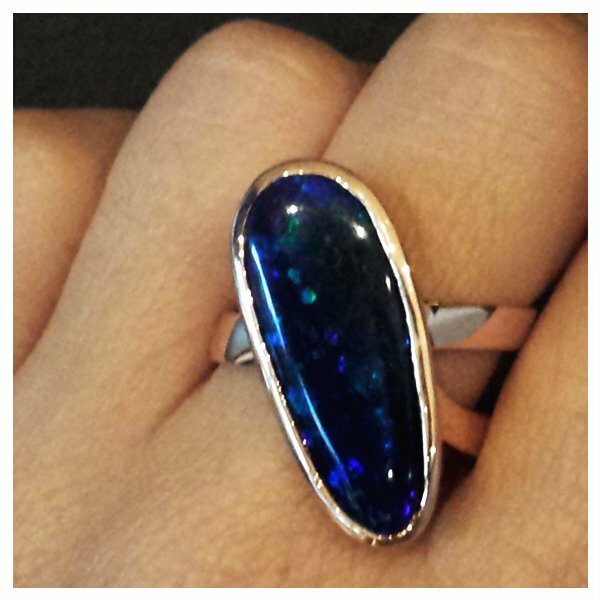 Julie's large black opal sits diagonally on the finger in this contemporary setting. Her father had give her the opal a number of years ago and she always wanted to do something unique with it. Now she can appreciate how amazing it looks on her hand!